Bast (Bastet) is the cat Goddess in Ancient Egyptian mythology. 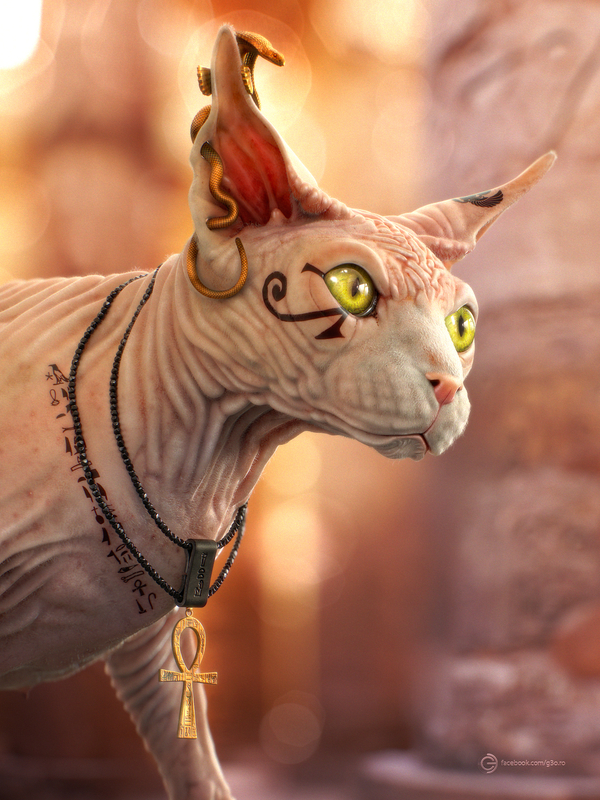 On this modern-type approach I based my concept on a sphynx breed due to it's beautiful "ugliness" (lack of fur, lots of skin folds, very organic look etc.) which was the main purpose of this project - an exercise for organic sculpting. Later, I decided to make a realistic render out of it.